BioAir Solutions provides turnkey odor and emission control systems proven to perform across the industrial spectrum, from municipal water treatment facilities to food processing plants to oil and gas sites worldwide. We rely on our team of leading research scientists and process engineers. Itʼs a potent combination that results in efficient treatment solutions custom-built according to each customerʼs specific site needs and applicable statutes. I have an odor problem at my facility. We’ll help you determine the cause and origin of your problem by conducting an odor assessment that includes an in-depth examination of your equipment and processes. It’s part of our turnkey odor control method, BioAir Complete®. I have a problem with regulated emissions at my facility. Emission of pollutants can put your workers, equipment and downwind neighbors at risk—not to mention invite the potential of facing steep fines. BioAir Solutions addresses pollution problems on an international stage, so we know how to get to the bottom of your specific emission challenge and then craft the solution to address it. It starts with a site survey. Iʼm spending too much on odor treatment chemicals or carbon filters each year. You can cut these costs significantly with a biological treatment system. These lower-cost, lower-maintenance solutions usually match, and often exceed, the performance of traditional carbon filtration or chemical treatment systems. We explain biological treatment in more detail below. My existing odor or emission control system is failing and Iʼm not sure what to do. We can help you find out how and why your system is failing with an on-site evaluation of your existing equipment. We can also walk you through the available remediation options, which may include a repair of your existing system or installation of a new BioAir system. Iʼm thinking about building a facility that might produce odors or emissions. Developing a management plan during early development stages will save you time, money and headaches in the future. Through our BioAir Complete® program, we provide start-to-finish odor and emission management that’s tailored to your site. If you’re about to design your facility, now is the perfect time to let us lend a hand. How do I know if I need a treatment solution? If neighbors are complaining about bad odors from your facility or youʼve been fined by the government for releasing regulated emissions, or you’re concerned about the possibility of these problems in the future, you need a treatment solution. Lots of solutions exist, and the one you need will depend heavily on the specifics of your facility. In the article below, you can learn more about the various ways to solve odor or emission problems. 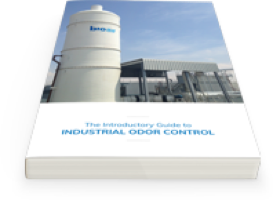 A library of articles discussing industry topics and important trends in odor and emission control. Every day, BioAir experts tackle unique odor and emission challenges around the world.